Dance is the art least susceptible to preservation since its embodied, kinaesthetic nature has proven difficult to capture in notation and even in still or moving images. However, frameworks have been established and guidance made available for keeping dances, performances, and choreographers’ legacies alive so that the dancers of today and tomorrow can experience and learn from the dances and dancers of the past. In this volume, a range of voices address the issue of dance preservation through memory, artistic choice, interpretation, imagery and notation, as well as looking at relevant archives, legal structures, documentation and artefacts. The intertwining of dance preservation and creativity is a core theme discussed throughout this text, pointing to the essential continuity of dance history and dance innovation. 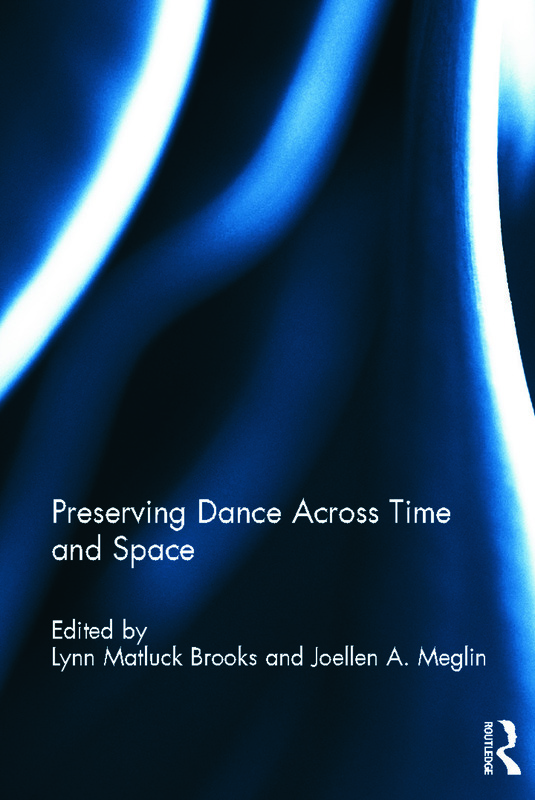 The demands of preservation stretch across time, geographies, institutions and interpersonal connections, and this book focuses on the fascinating web that supports the fragile yet urgent effort to sustain our dancing heritage. The articles in this book were originally published in the journal Dance Chronicle: Studies in Dance and the Related Arts. Lynn Matluck Brooks isthe Arthur and Katherine Shadek Humanities Professor of Dance at Franklin & Marshall College, USA. She holds a doctorate from Temple University and is a Certified Movement Analyst and dance historian. She has written for Dance Magazine, edited Dance Research Journal and Dance Chronicle, and authored several books including John Durang: Man of the American Stage (2011). Joellen A. Meglin is Associate Professor of Dance at Temple University, USA. Her articles have appeared frequently in journals such as Dance Research (UK), Dance Research Journal and Dance Chronicle, and two essays have been published in Studies in Dance History monographs. She has served as coeditor of Dance Chronicle since 2008.